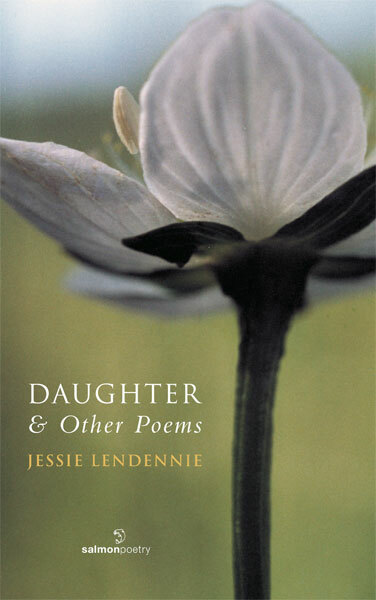 The long-awaited re-release of Jessie Lendennie's prose poem Daughter, first published over a decade ago, and accompanied in this volume by a selection of Lendennie's previously uncollected poems. "This is an ambitious poetic statement. It attempts to get at the initial shadows and regrets which are so formative, finally, on the imagination. Its use of language is eloquent and concentrated and its juxtapositions are often daring. Jessie Lendennie breaks her own ground with verve and determination." "In Daughter Jessie Lendennie writes with a spare grace and unsparing wisdom of the kind of dreams and nightmares that can never be outgrown. She shines her clear and steady light on the dark house of childhood, pointing to what is primal and essential to the way each of us will experience life to the end of our days." Jessie Lendennie's prose poem 'Daughter' was first published in 1988, followed in 1990 by The Salmon Guide to Poetry Publishing and in 1992 by The Salmon Guide to Creative Writing in Ireland. Her poetry has been anthologised in Irish Poetry Now: Other Voices, Unveiling Treasures: The Attic Guide To The Published Works of Irish Women Literary Writers and The White Page/An Bhileog Bhan: Twentieth-Century Irish Women Poets, among others. She has conducted workshops and given readings all over Ireland and the United States for many years. She is the co-founder and Managing Director of Salmon Poetry. In 2008, she edited Salmon: A Journey in Poetry, 1981-2007, an anthology of Salmon Poetry. In 2009 she compiled and edited Poetry: Reading it, Writing it, Publishing it. Emma's mother straightened herself slowly, rubbing one hand along her lower back. She stood and adjusted the shoulder strap of the long canvas sack, half-full of cotton, and turned to look at Emma who ran toward her; then back to the row ahead. She squinted as the sun caught her eyes. Heat shimmered across the field. She lowered her head to tilt her wide-brimmed straw hat against the glare. She lay still and the night moved past her. Branches brushed the window. She wondered, as a child, of fingers tapping at windows, of hands that reached out so softly to brush a cheek ... but never moved away. Rows upon rows of cotton plants in the heat. Emma watched the pickers moving along the rows, filling their long trailing sacks. She rode the end of her mother's cotton-sack, making patterns with her fingers in the dust. She daydreamed lazily as the sack grew softer and her mother's pace slowed. She saw her sister running awkwardly behind them, heard her brothers arguing, and above her, her mother's mild voice. Daughter by Jessie Lendennie is a moving and impressive livre compose. formally, an interlinked series of prose poems, Daughter follows the thoughts and moods of Emma who confronts the recent death of her mother. The concern is with personal identity, in particular with the highly charged material of the death of the mother: love, sorrow, guilt, emotional overload. Emma walked along the hospital corridor. She heard her grandmothers's voice. Her mother's thin, pale hand touched her own weakly from the high white bed. And in her heart there was darkness... the gull cry of darkness, when the winter has come early across the steep cliffs. Daughter powerfully dramatises a loss which cannot be denied, as Emma holds fast in memory and dream to her mother, her emotional centre. In so doing Emma learns what as a child she was too self-absorbed to notice, the mother's hard, weary life in a male-centred world. The pain becomes memory and 'past', it isn't dulled, it is intensified. The last line encapsulates the anguish of this paradoxical continuing past: 'and the child said, "If you love me, take me with you."' The poet's achievement prepares the reader for this nakedly sentimental cliche. The seemingly throw-away and 'fortunate' chiasmus is revealed as inevitable and exact. It charts Emma's sense of self, the love which is a loss, a profundity which beggars words but is shadowed in the poet's design. "This is an ambitious poetic statement. It attempts to get at the initial shadows and regrets which are so formative, finally, on the imagination. Its use of language is eloquent and concentrated and its juxtaposition are often daring. Jessie Lendennie breaks her own ground with verve and determination." "In Daughter Jessie Lendennie writes with a spare grace and unsparing wisdom of the kind of dreams and nightmares that can never be outgrown. She shines her clear and steady light on the dark house of childhood, pointing to what is primal and essential to the way each of us will experience life to the end of our days"
"This is an ambitious undertaking, but nothing less would do justice to the haunting quality f the poem. Its theme, the death of her mother during Jessie's childhood, is developed partly through the child's consciousness, partly through an adult dream-state. The distance between the poet's home in Arkansas, and her preset home in Galway, where the poem was written, suggests the immense physical and psychological territory that the poem covers. "Reading the poem, I remembered a Victorian illustration to a lost epic, of which only a fragment remains - 'Childe Rolande to the Dark Tower came' - where the protagonist faces the final, most dreadful stage of his journey. Well, Tolkien has made us familiar with the Dark Tower now; and its foundations lie where they always have lain, in lost childhood memories, sense-impressions, the darkness and fear of childhood that are fearsome to confront. And they must be confronted, as the poet has faced them in 'Daughter', for they are both the bedrock and watertable of our life." ".....this is the journey of Demeter and Kore: the lovely harvest scene on page 10, a find of family apotheosis; the child herself venturing alone in her red dress on page 44, Kore gathering flowers in the fields of Enna; the land made bare, lacking its fertilising power; and the slow descent in the underworld where mother and child will recover each other. The book closes on the great prayer of Demeter to her child: 'If you love me, take me with you'. In this poem, that the mother is the child, and the child is the mother, is what the original Mystery is about, after all." How could she know there would be no forgetting? That she would always remember... that this was her life, and when they said, "She's grown out of it" they were wrong, wrong. Emma's mother turned in her sleep, trying to rest the pain Emma did not understand.. only knew she was the baby, her mother's baby. And that is three lines at the top of an otherwise blank page - the pregnant silences of Berman's 'Cries and Whispers', also dealing with death, are recalled. Emma began to hate the sun, the yellow grass, the shadeless trees; hated the smiling girls in their lovely patterned dresses. Daughter is Jessie Lendennie's first book. It is in the main an evocation, and maybe catharsis, of a childhood trauma, the death of a mother - hastened perhaps by a drunken father. This is a bare biographical outline and the book is the story which fills it out. Daughter is a courageous, original and memorable debut. The image of the willow tree, among others, recurs throughout the narrative, adding to the haunting, almost gothic, quality. Ezra Pound described an 'image' as that which presents an intellectual or emotional complex within an instant of time. I'd be inclined to extend this to apply to Jessie Lendennie's book, and say that Daughter presents an intellectual and emotional complex within beautifully crafted instants of life and time. Her poetic style acts as a prism, so that the 'clear and steady light' Lendennie shines on the 'dark house of her childhood' is refracted and re-housed in the being of the reader. It is a light that sometimes hurts the inner eye to unsheddable tears, and I must confess, while reading this book, to being moved to shedding one or two..."